The Jeep Wrangler is authentic and unique, with capability that keeps getting enhanced at the same time this intentionally crude vehicle gets more comfortable and civilized. By intentionally crude, we point to the wonderfully exposed hinges on the removable doors and a windshield that flips down for a less-impeded view off road. After all these years, the Wrangler can still make you feel like General Patton. And this is not an outdated product. 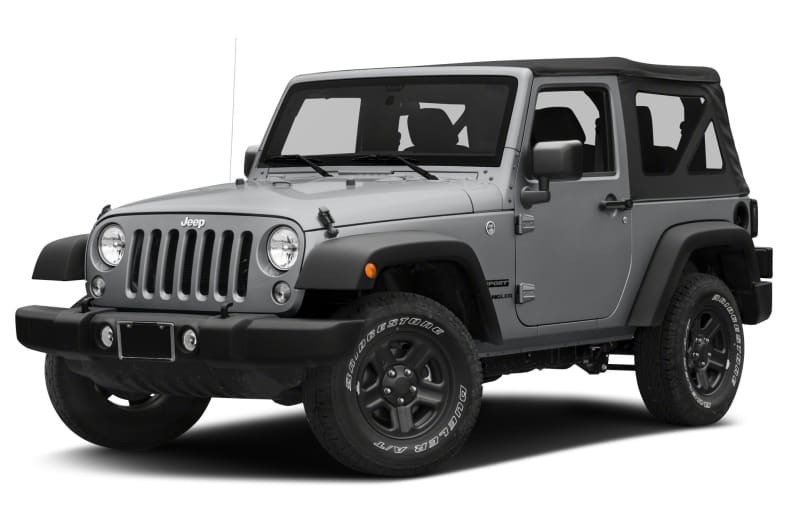 Wrangler uses a smooth and fancy Chrysler Pentastar 3.6-liter V6, and a 5-speed automatic transmission designed by Mercedes-Benz with an available 6-speed manual. The engine makes 285 horsepower with 260 pound-feet of torque, scooting a two-door to 60 mph in 7.7 seconds, with the heavier four-door Wrangler Unlimited trailing behind, in 8.4 seconds. There's surprisingly good acceleration at relatively low rpm. The old-school steering is dull and the ride not great, and it only gets 17 miles per gallon, but all of that becomes less important in rugged terrain where the Wrangler shines. Wrangler features a rugged chassis with high ground clearance and skid plates, and solid axles front and rear. It is an amazing machine when it comes to scrambling over boulders. New tricks by the Rubicon model, in pursuit of bigger boulders, include electronic disconnection of the sway bar to allow extreme wheel articulation and stability in extreme situations. And General Patton would be blown away by the refinement in the cabin. Air conditioning and Alpine speakers. The two-door Jeep Wrangler and four-door Wrangler Unlimited come with a hard top, soft top, or both. The Freedom hardtop is like a T-top, with easily removable roof panels. The soft top is easier to get down than it used to be, but the T-top is the easiest to manage. New for 2016 is a Black Bear edition with rock-resistant rails and a soft top.